The UFC makes its debut on the ESPN networks this weekend with Fight Night 143: Cejudo vs. Dillashaw. The main card will be shown on the ESPN+ streaming service, while the preliminary fights will be the first live UFC fights to take place on the ESPN television network proper. For a free-TV show (of sorts, ESPN+ is a subscription service) it’s a pretty solid card, with a huge main event and plenty of interest on the undercard, including a controversial debut, the return of a genuine legend, and some big tests for some of the UFC’s best prospects. Here are 5 reasons to watch UFC Fight Night 143: Cejudo vs. Dillashaw. While champion vs. champion superfights have become more commonplace in the UFC over the last couple of years, they’re still a relatively rare thing. 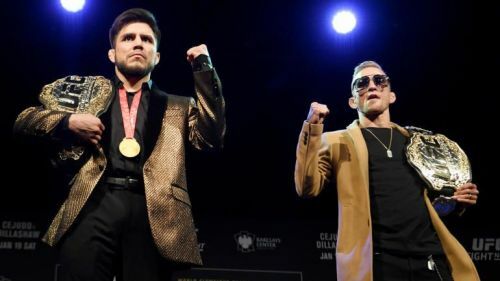 After all, there have only ever been 4 in the history of the promotion – and so the fact that the main event -Flyweight champ Henry Cejudo vs. Bantamweight champ TJ Dillashaw, with Cejudo’s belt on the line - is a bonafide superfight means the show is automatically worth watching. Plus, the fight should be fantastic to watch. Dillashaw’s combination-based striking game always makes for phenomenal action inside the cage, and the question of how he deals with Cejudo’s Olympic-level wrestling and karate-style striking is a huge one that needs answering. Assuming both men are healthy following Dillashaw’s drastic weight cut, we could be in for a classic. 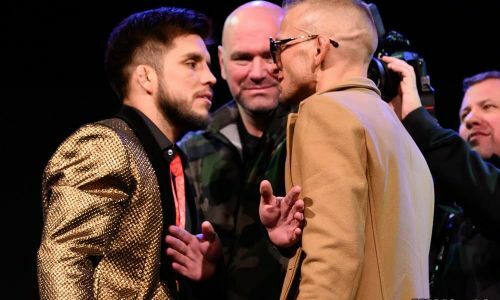 Throw in the angle that some people are taking – that the actual future of the Flyweight division is at stake here, with the UFC considering folding it if Dillashaw were to win – and the stakes become even higher. Flyweight title fights involving Demetrious Johnson were always interesting, but this one is simply on another level. It’s can’t miss stuff.